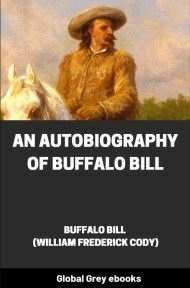 This is a memoir of Frank J. Cannon (1859-1933). Although born into a prominent Mormon family, Cannon was a freethinker and a progressive. 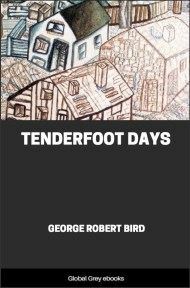 He recounts an insiders' view of the painful process by which the Mormon church and the state of Utah became integrated into the United States. He played an active role in this history, lobbying for statehood both in the halls of Washington D.C. and in the inner councils of the Mormon church. 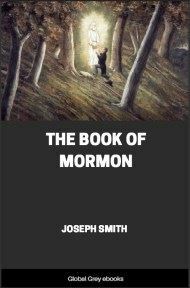 This work is highly critical of the Mormon hierarchy, the conformist and inward-looking aspects of Mormon society, and of polygamy. However, he also praises the social programs of the Church. This is an important source document for the history of the Mormon people and the state of Utah. About ten o'clock one night in the spring of 1888, I set out secretly, from Salt Lake City, on a nine-mile drive to Bountiful, to meet my father, who was concealed " on the underground," among friends; and that night drive, with its haste and its apprehension, was so of a piece with the times, that I can hardly separate it from them in my memory. We were all being carried along in an uncontrollable sweep of tragic events. In a sort of blindness, like the night, unable to see the nearest fork of the road ahead of us, we were being driven to a future that held we knew not what. 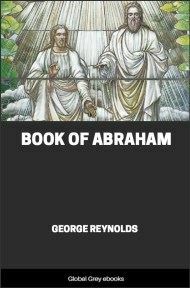 I was with my brother Abraham (soon to become an apostle of the Mormon Church), who had himself been in prison and was still in danger of arrest. And there is something typical of those days in the recollection I have of him in the carriage: silent, self-contained, and-when he talked-discussing trivialities in the most calm way in the world. The whole district was picketed with deputy marshals; we did not know that we were not being followed; we had always the sense of evading patrols in an enemy's country. But this feeling was so old with us that it had become a thing of no regard. There was something even more typical in the personality of our driver-a giant of a man named Charles Wilcken-a veteran of the German army who had been decorated with the Iron Cross for bravery on the field of battle. He had come to Utah with General Johnston's forces in 1858, and had left the military service to attach himself to Brigham Young. After Young's death, my father had succeeded to the first place in his affections. 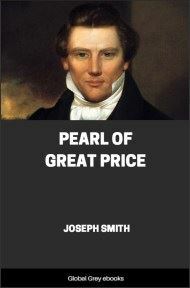 He was an elder of the Church; he had been an aristocrat in his own country; but he forgot his every personal interest in his loyalty to his leaders, and he stood at all times ready to defend them with his life-as a hundred thousand others did!-for, though the Mormons did not resist the processes of law for themselves, except by evasion, they were prepared to protect their leaders, if necessary, by force of arms. With Wilcken holding the reins on a pair of fast horses at full speed, we whirled past the old adobe wall (which the Mormons had built to defend their city from the Indians) and came out into the purple night of Utah, with its frosty starlight and its black hills-a desert night, a mountain night, a night so vast in its height of space and breadth of distance that it seemed natural it should inspire the people that breathed it with freedom's ideals of freedom and all the sublimities of an eternal faith. And those people-! A more despairing situation than theirs, at that hour, has never been faced by an American community. Practically every Mormon man of any distinction was in prison, or had just served his term, or had escaped into exile. Hundreds of Mormon women had left their homes and their children to flee from the officers of law; many had been behind prison bars for refusing to answer the questions put to them in court; more were concealed, like outlaws, in the houses of friends. Husbands and wives, separated by the necessities of flight, had died apart, miserably. Old men were coming out of prison, broken in health. A young plural wife whom I knew-a mere girl, of good breeding, of gentle life-seeking refuge in the mountains to save her husband from a charge of "unlawful cohabitation," had had her infant die in her arms on the road; and she had been compelled to bury the child, wrapped in her shawl, under a rock, in a grave that she scratched in the soil with a stick. In our day! In a civilized state!